Hurtigruten’s winter voyages offer a wonderful exploration of Norway’s stunning coastline and offer the best chance of seeing the spectacular Northern Lights. As you will spend half, if not all, of your cruise in Northern Norway above the Arctic Circle, you will have multiple chances of seeing the Northern Lights from the comfort of the observation decks or the indoor lounges. During the day, there are more excursions than ever to choose from and all the ships (apart from the two older ‘classic’ vessels) now feature dedicated Expedition Teams. These guides all have expert local knowledge offering a unique, in-depth perspective of the best of Norway’s coastline with a series of lectures, hikes, excursions and food tastings, helping you to get the most our of your adventure. These Teams are all officially Canon Photography trained and a 45 minute free photography demonstration is included on these ships. Another new development is the option to purchase of a ‘Hiking Bundle’ of 3, 5 or 8 walks during your expedition. You select which specific walks you want when you are on board. In winter the light along the Norwegian coast is at its most beautiful. With days being shorter, there are even more opportunities for the Aurora Borealis to make an appearance. Wintertime also brings the ‘blue hour’ a period of prolonged twilight as the sun rests just below the horizon. This special light creates a romantic mood that is made all the more magical by the scenery of snow-covered mountains. Take a 11 night Classic Round Voyage along Norway’s coast between 1 October 2018 and 31 March 2019. If you do not see the Northern Lights, Hurtigruten will give you a free 6 or 7 day voyage on a half board basis the following Winter (flights not included). T&Cs apply. The Hurtigruten winter coastal voyages carry passengers and supplies to 34 ports with a ship departing along the route from Bergen virtually every day of the year. Ports visited by night on the northbound voyage are seen by day on the southbound journey and there are a variety of shore-based excursions on offer. The ships travel in and out of narrow inlets and fjords, sailing along some of the world’s most beautiful coastline, nearly always in sight of land. During September and October, on day 2 of the northbound voyages, Hurtigruten is the only company that sails into Hjorundfjord, coastal Norway’s best kept secret. Also known as ‘The Autumn Fjord’, this is gem of a fjord displaying amazing Autumn colours. Throughout the winter months there are several 12 day guided Astronomy Voyage Holidays with lectures from on-board astronomers, Dr John Mason or Mr Ian Ridpath. They have been specially timed during moonless periods to give you optimal viewing conditions of the night sky. Important Note re Costs We price each voyage on request because Hurtigruten prices are constantly changing. This is due to their frequent special deals such as early booking offers, cabin discounts, onboard credit deals or their great value no single supplement offer for those travelling alone. We will always check for any special deals which apply on or around your preferred travel dates and will offer you the best value option available. Find out more about life on board and itineraries on offer in Norway in 2019/20 and worldwide in 2019/20 and 2020/21 by viewing Hurtigruten’s online brochures (NB: prices in sterling and for voyage only). Then give Project Travel a call on 01 – 210 8391. We will check for any special offers on or near your travel dates to give you the best value. We will price the entire package for you in Euro to include flights and any hotel nights required before and/or after the voyage. 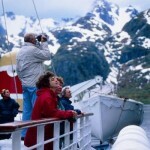 What’s more, we can usually offer better prices than Hurtigruten for travel from Ireland. You have the option of enjoying a shorter, Port-to-Port voyage along any segment of the coastline as part of your tailor-made, independent travel holiday in Norway from Project Travel. You can also extend your cruise holiday in Norway with extra nights in Oslo and/or Bergen before or after your voyage.